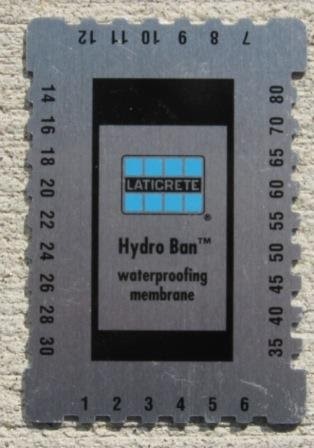 Over 45 years ago Laticrete introduced the first liquid applied waterproofing / anti-fracture membrane for use directly under interior and exterior thin bed installations of tile and stone. Since then Laticrete 9235 Waterproofing Membrane has become a staple in tile and stone industry specifications and on jobsites. In order to make this product more user friendly to the installer we have improved it by reducing the odor. When you open your next pail with the sticker which says “New Improved Low Odor Formula” you will notice the difference. Along with this you may see a slight change to the color from a black with a blue tint to black with a slight green tint. Rest assured that the Laticrete 9235 Waterproofing Membrane will retain all of the other great features that make your waterproofing jobs worry free. 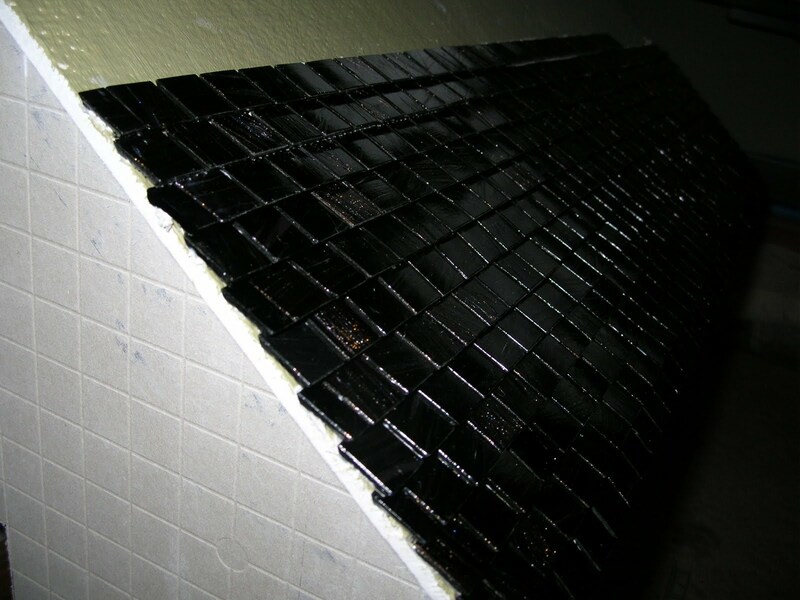 Laticrete stands behind this tile & jobsite proven product with a Lifetime System Warranty giving you peace of mind in your next waterproofing installation. 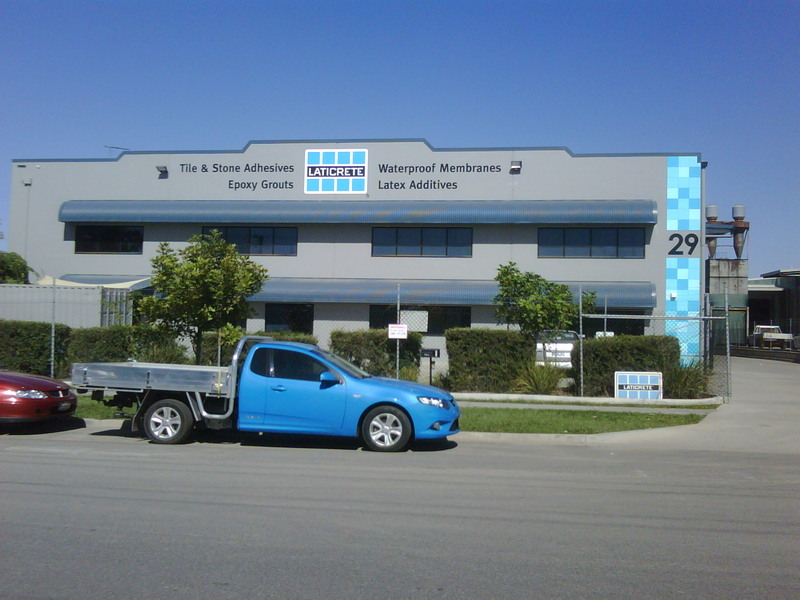 In August of 2009 we launched the Laticrete Hydro Barrier waterproofing membrane product to aggressively compete at a lower price point with a superior value. 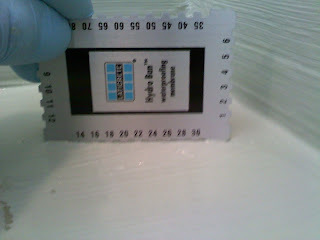 Up to now Laticrete Hydro Barrier was only available in a 3.5 gallon container. 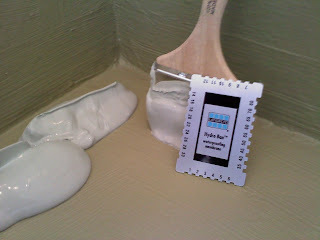 Starting 5/31/10 it will be available in a One Gallon container size covering 50 SF with two coats. The following attributes remain the same for both Laticrete Hydro Barrier and HydroBan. One of my daughters is attending University in Argentina this semester. She is a bit of an "Adventurer." Photos from Mendoza! ParaGliding ....! The Laticrete website allows you to review & comment on our products. Take a look at the "More Information" page for any Laticrete product on our website and scroll to the bottom to post a review. It takes only a moment and we love hearing from our users! I asked a new Laticrete Field Rep how he was doing and what he thought about his position at Laticrete. You know what ? The last 2 1/2 to 3 months have been great. Got my schedule figured out, which helped balance life. Talking to people has always been easy for me, but talking to people productively by listening and asking questions has been something that took time. I actually really like doing cold calls now and have no fear in setting up appointments now. Demo's are definitely the part of this job that is by far the easiest and most fun for me, I love it and can't get enough of showing, teaching and helping people see the great products that Laticrete has and how easy they are to use. You wouldn't believe how jacked I get when someone is struggling with SpectraLock or 3701 thickbed on walls or our new 4XLT, its like yeah ! Jeff to the Rescue ! Lol. I have a great job for a great company that has great employees that just so happen to have a great product that's easy to be proud of. Henry, I've always been passionate, creative and emotional about my work in the tile industry, I was good at setting tile, being a boss, supervisor, co-worker and I believe that I was a good representative of any company that I worked for. Now I have found a place that I can feel the same way about, along with being in a industry that I love. Thanks to people like you, Ed, Ron, Walt, Eric and especially Todd. Sorry about the long letter Henry. I guess I was just feeling it tonight. Don't know what it was but something in your last email struck a cord. Jeff joined our Laticrete team as a CSR for Territory 270 bringing more than 20 years of experience as a master tile setter. His familiarity with LATICRETE products and comprehensive installation experience make him ideally suited to take on the challenges as a CSR and cultivate relationships with contractors. Most recently Jeff was a project manager with Lakeside Stoneworks. This Milwaukee native and his wife, Julie enjoy world traveling when not cheering for their hometown Brewers. 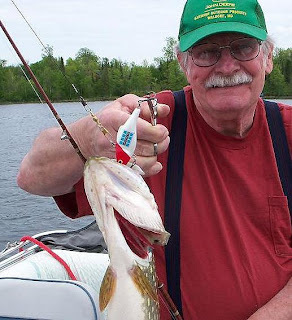 Jeff is an avid golfer and competitive Foosball player. He has won more than 15 Foosball titles including the 2005 World Championship! Do you have one ...? "I just recently started using Spectralock pro and I love it, in fact I don't ever want to use cement based grout again ....."
"Thanks for talking with me, it's always nice when company reps take time to try to work out issues, I've had some that make me feel like I'm wasting their time, so I really appreciate it." 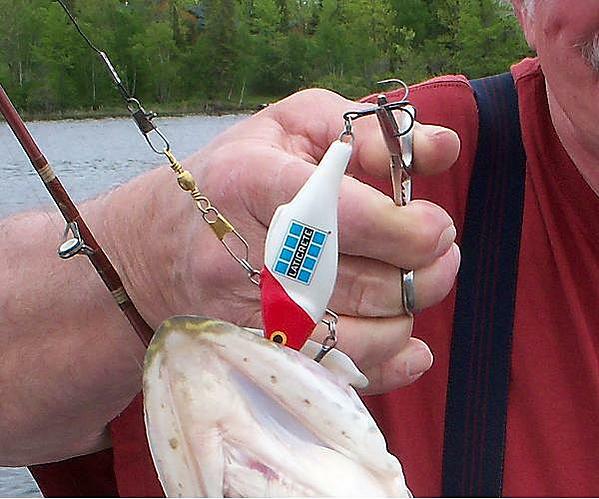 "Using a top-secret killer bait I took five fighters like this in about 1 & 1/2 hours. A second closer look identifies the killer bait." We are almost half way through 2010 ...! Time to take a look at the updates for 2010 for Laticrete "Innovations"
Trend Glass Mosaics in the Powder room ... installed by Mike Brooks. 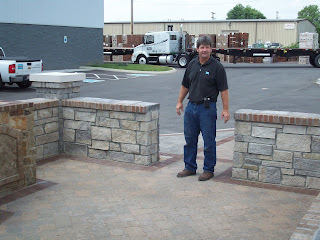 One of our Laticrete "Guys In The Field" - Gary Martin - at a Robinson Stone and General Shale Thin Brick Display that was built in front of the General Shale Knoxville location. The thin veneer was installed over Laticrete HydroBan waterproof membrane with Laticrete Masonry Veneer Mortar over cement block. "Thin stone, thin brick and masonry people are fired up about our MVIS installation system with their thin veneer products." 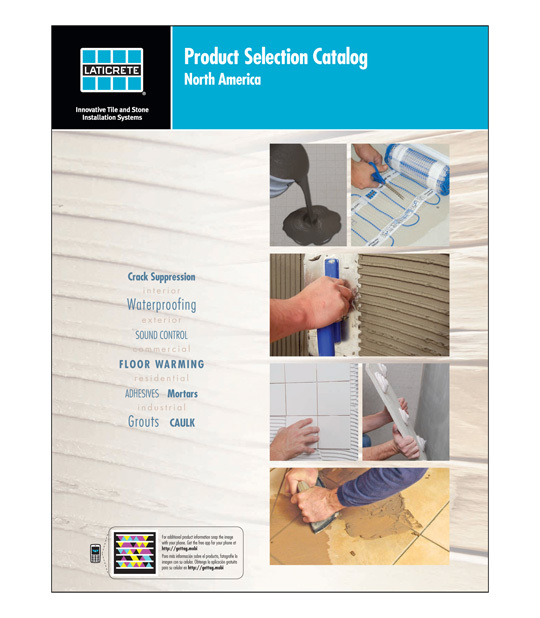 The newest version of the Laticrete product catalog has been updated to include new products. This catalog also offers a new bi-lingual layout – English then Spanish. At the center of the catalog, it transitions from English to Spanish. The new catalog can also be found on the products section of our Laticrete website. 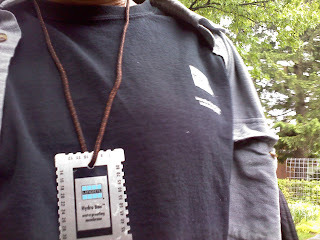 I spent Thursday & Friday visiting Atlanta traveling with the "local Laticrete guy" Adam Marks. 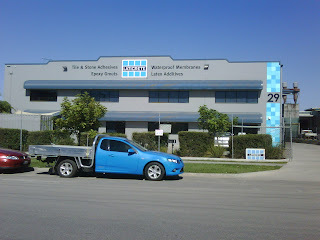 We spent Friday at Specialty Tile. 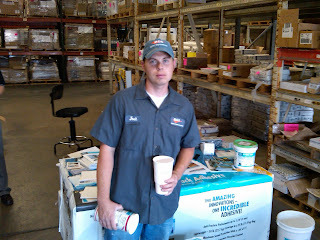 Specialty Tile in Atlanta does a BBQ for their customers & clients each year. They also do a BBQ event in Orlando & Savannah each year. The Weather was great, the food was great ... the people were great. The World of Building, Energy and Transportation 2010 event in Atlanta, GA.
At Laticrete we partnered with the NTCA, Dal Tile, CC Owens Tile and Tiede-Zoeller for this event. This was a two day event that was attended by over 5000 Technical High School and Technical Colleges students. We spoke to them about the Tile Industry and demonstrated for them estimating, tools of the trade and basic tile & stone installation techniques. 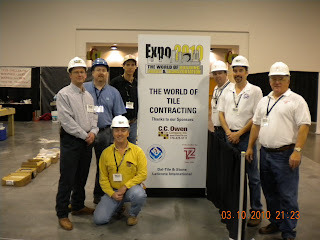 many of them took home a one square foot piece of backer board that they installed tile on. "This is a great opportunity to give back to our industry. 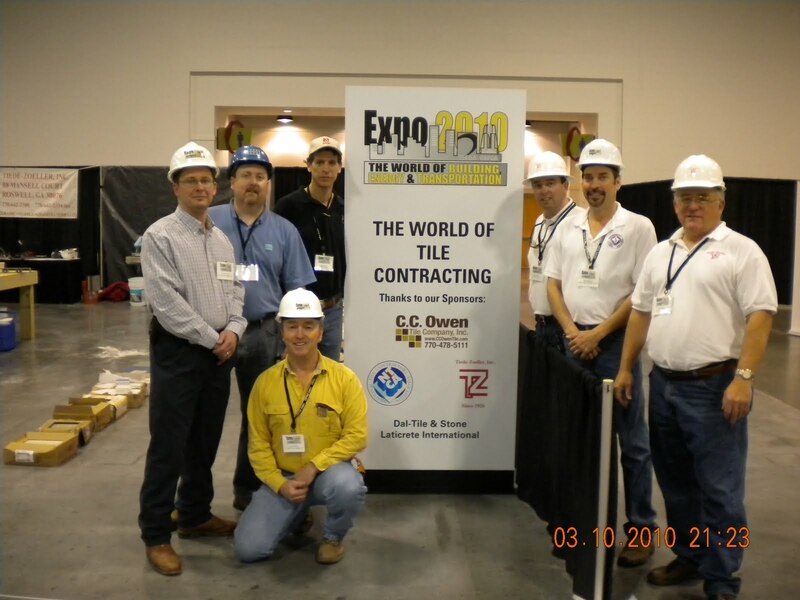 Being able to show kids there are different avenues of employment" - Rod Owen, CC Owens Tile. It was not our stated goal this year to create the biggest and the best event of this type ever held in Georgia, but we did it! "Once a year our neighborhood has a home tour. This year the benefiting charity is a local dog shelter. 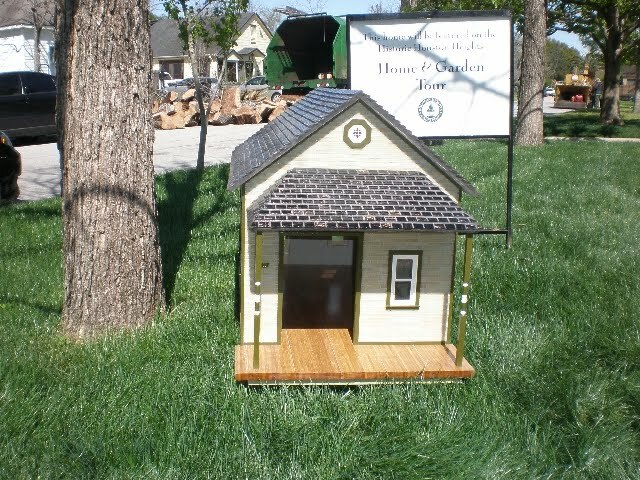 The organizers asked local craftsmen to build a dog house to be put up for auction. Being an old school Italian tile man, I couldn't resist the offer to showcase my talents with glass tiles. The cement board shell was waterproofed with HydroBan. The roof "shingles" are 1/2" square iridescent glass set in Latapoxy 310 , which made the installation very easy. The shingles certainly are not going to fall off. The Tiffany glass tiles are set to mimic the Victorian style bungalows common in the Heights section of Houston. House for sale, move to your lot. Truly a rare find. This custom built craftsman style classic Heights bungalow boasts an extra large covered front porch, vaulted ceilings, extra large master bedroom, solid bamboo flooring in an open floor plan. The exterior features Tiffany glass siding, hand painted double hung windows in the 3 color style with antiqued glass, which is all accented by the Bisazza glass tile roof. The auction is April 9th. My competition is 5 architects. I am eager to see which dog house brings in the highest bid. I can have some of the professional pictures taken at the event sent to your blog. For now these are the ones I took on a neighbors lawn that looks far better than the weed patch at my house. 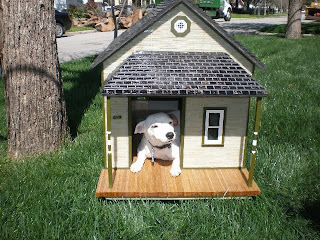 To make sure everyone knows just who built the best dog house, I am planning on using the Latapoxy 310 to create a glass necktie to go with my suit." 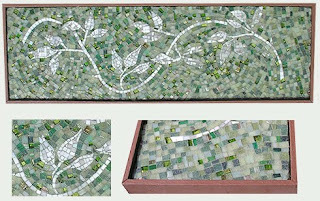 mosaics, turns out she uses SpectraLOCK grout to hold it all together. famous on your blog ... lol"
The Laticrete iPhone App is now available. Check it out in the Apple Apps Store within iTunes. Laticrete Racing - Start Them Young ....! "Just a quick note to let you know that Joey did fantastic in the first race of the season last night at Waterford Speed Bowl - placing 2nd out of 10 cars!! We are really proud of him as he is new to this track. The commentator gave a great speech about him after his win. " Easy to trowel and clean, SpectraLOCK 2000 IG offers extended working time and a fast cure for same day installations. Combined with unmatched non-sag performance and up to 39 color options, SpectraLOCK 2000 IG provides you best-in-class features and performance at an economical price! Easy to Install - Creamy consistency, easy to spread and clean. Non-Sag Formula - Stays in the joint for easy installation and cleaning. 80 Minute Working Time - Allows you more time to install. Expanded Color Availability - A full range of color options now available in an industrial grout. Equipped With Microban® - Inhibits the growth of stain-causing mold and mildew in grout joints. Meets ANSI A118.3 and A118.5 - Meets requirements for both epoxy and furan grouts.